Since 2011, the Lewis Institute’s Changemaker Awards have recognized Babson students and staff who exemplify remarkable effort to create a positive change within the community and in the world. Two of recipients of this year’s Changemaker Awards are Two of this year’s honorees are from the F.W. 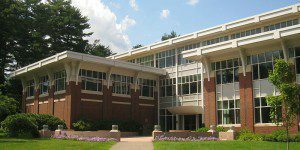 Olin Graduate School of Business at Babson College; Mayank Arora M’15, and the institute’s first ever alumni award was given to Jon Feinman M’10. Arora is a first-year MBA student, who will participate in MBAxAmerica this summer. This new, six-week program designed for MBA students from the nation’s top business schools incorporates cross-country travel where students participate in six business challenges with innovative entrepreneurs. He serves as the Vice President of Operations for the Babson Energy & Environmental Club. Arora, who strives to become a social entrepreneur, has a passion for sustainability and is working on improving energy efficiency within the residential sector. Feinman, a Babson MBA, is the Executive Director and Founder of InnerCity Weightlifting, a non-profit organization focused on reducing violence and advocating achievement among urban youth. InnerCity Weightlifting strives to take young people, who are at the highest risk for violence, off the streets and into the gym to build confidence and receive support. The gym provides the most underserved teens with a positive place to go, where they can set goals from themselves physically and at a personal level to better their lives. The weightlifting gym is located in Dorchester where more than 200 students attend. The winners were honored at a luncheon on April 22 at the Babson Executive Conference Center and were presented with individual walking sticks. The sticks were given to the honorees to symbolize that they are in constant motion to spark change.